PC gaming on a massive home TV can be great, but there are drawbacks to using them. It often involves moving a PC into the living room and the televisions lack features such as variable refresh rates. At CES yesterday, however, Nvidia revealed it is bringing together the best of both these worlds in its Big Format Gaming Displays, aka BFGDs. 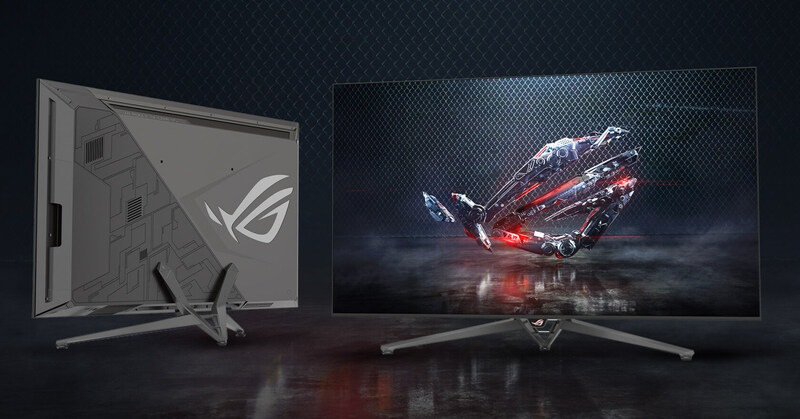 Working with Acer, Asus, and HP, Nvidia is taking all the best features you would find in a high-end monitor and integrating them into the 65-inch displays. Not only do they feature 4K resolutions, 120Hz refresh rates, HDR support, and G-Sync for “buttery-smooth,” tear-free gameplay, but you also get Nvidia’s Android TV-based shield TV with Google assistant support built-in. There’s even a bundled remote and game controller. While they don’t come with built-in TV tuners, the shield integration does allow the use of streaming apps like Netflix and Amazon. It supports video playback at common native framerates, including 23.976, 24, 25, and 48fps formats. “This matches the screen’s refresh rate to the video source’s actual frame rate, eliminating interpolation and presenting the video content as it was intended to be viewed by the director,” said Nvidia. The BFGDs also come with a peak luminance of 1000 nits, a full-array direct backlight, and DCI-P3 color gamut. Some of the first models announced are Acer’s Predator BFGD, Asus’ ROG Swift PG65, and HP’s Omen X 65 BFGD. Getting the most out of a BFGD monitor will require a beefy graphics card, of course, but they sound ideal for people with deep pockets who want to be totally immersed in their games. The first BFGD displays go on sale this summer, which is when the prices will be announced. Don’t expect them to be cheap.